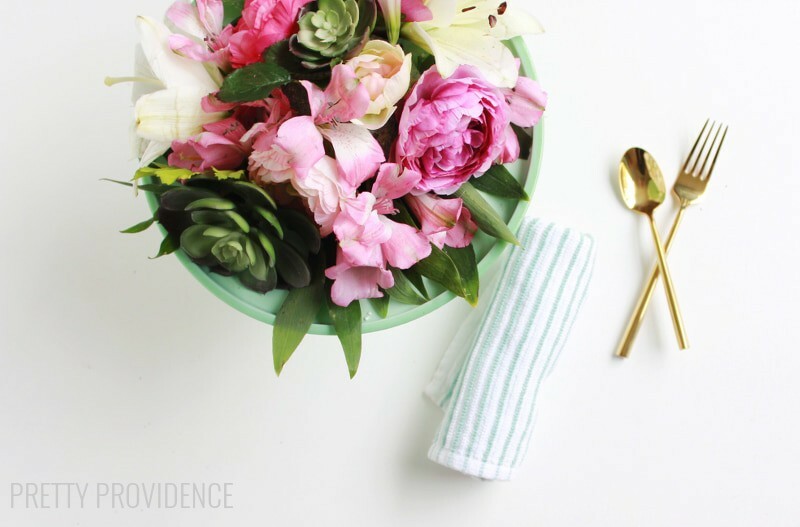 Today I’m sharing a very simple little spring project. 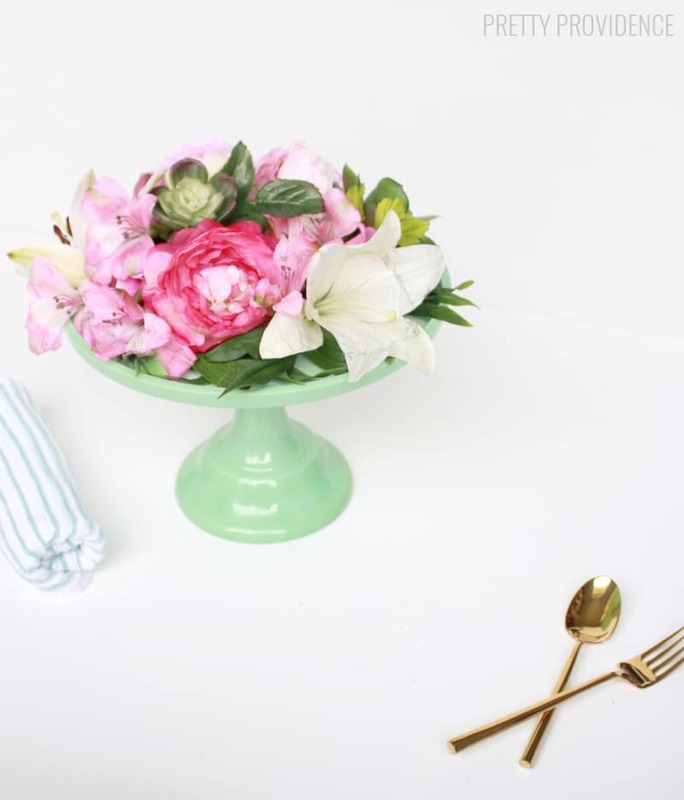 It’s inexpensive to make but looks fancy, plus, you get to show off your favorite cake stand without actually being tempted to eat sugar every time you walk past it. I am a person who can’t ignore baked goods, so this is extremely helpful to me! 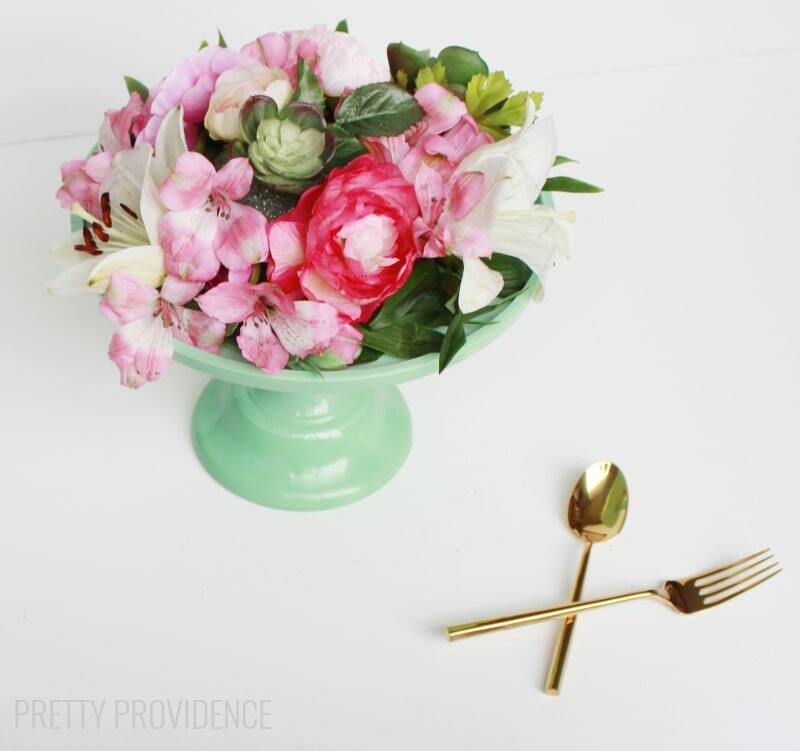 This floral cake stand centerpiece would be perfect for your Easter dinner table decor, a wedding centerpiece, or just a spring table scape! First, place floral foam in the center of the cake stand, secure with glue dots. 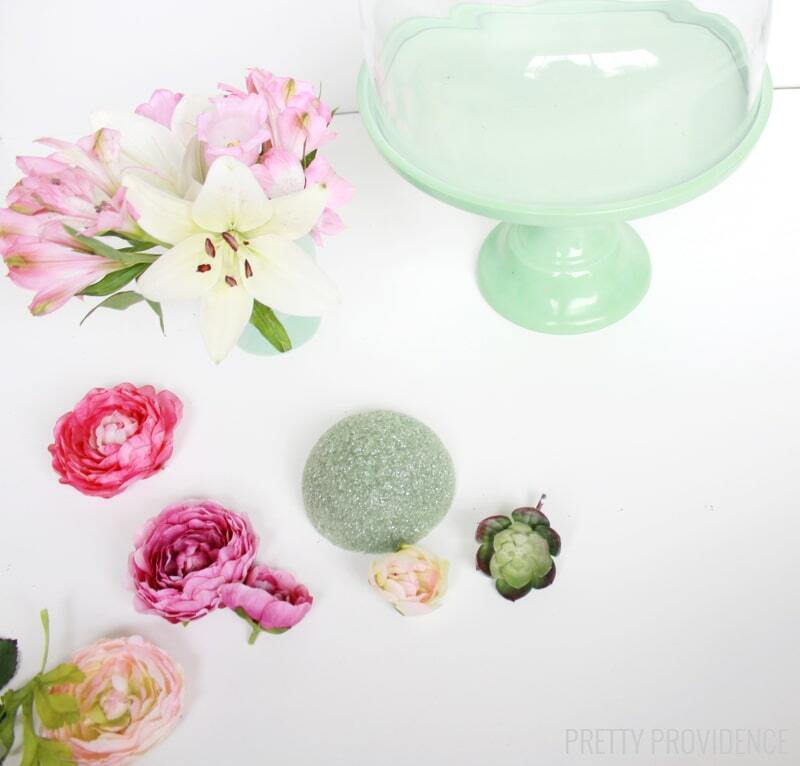 Trim wire on faux flowers to short stems, place them however you like around the foam and once you have that figured out stick the faux flowers and succulents into the floral foam so they stay in place. If you have fresh flowers, gently place them wherever you’d like them. They’re more fragile so I don’t recommend attaching them to the foam. That’s pretty much it, you guys! It’s almost not even a DIY because it’s so easy!